We welcome your questions – please contact us at info@helplesotho.org if the answers to your questions are not found below. What do people do for fun in Lesotho? Kids in Lesotho make their own fun by playing games together. They love to play group games and sing and dance with each other. Many people in Lesotho like to listen to R&B music as well as traditional Basotho music. People like to watch movies when they have a chance to. Women often cook together and make crafts together while they socialize. Many people in Lesotho love football/soccer, so they spend a lot of time watching and playing soccer matches. Do the Basotho have a religion? Yes, 80-90% of the Basotho are Christian. Most of those are Roman Catholic but there are strong Lesotho Episcopal and Anglican churches. People talk of God often in the community and every school day begins with prayers. There are very few people of other religions because there are very few people from outside Lesotho who live in Lesotho. What do people in Lesotho eat? Almost every school and family has a vegetable garden. In good times with lots of rain (as long as there are no floods), they can feed themselves with their harvest. However the grandmothers with small orphans can find planting and harvesting difficult. When there is drought, the soil is like dust and things do not grow well. They eat steamed bread, potatoes, rice, porridge, and a dish called “papa”, which is similar to mashed potatoes but made of corn meal. (To make your own “papa”, add cornmeal to boiling water and cook until the water is absorbed and starts to firm up (another 5-10 minutes); stir occasionally.) The average person has watery porridge in the morning with a piece of steamed bread. At lunch and supper, there is usually papa and steamed cabbage or spinach. Sometimes there is a soup drizzled on the papa to give it flavour. The cabbage or spinach is cut up in small pieces and cooked. Sometimes there is mashed pumpkin and apples. Children eat “fat cakes”, which are flour fried in fat, like a doughnut without a glaze. Like here, what they eat depends largely on how poor they are. If they can afford it, families buy meat. This means that the diet is Lesotho is primarily starch and fat, with very little protein. What are the houses like in Lesotho? Most people in the towns live in one or two room houses made of concrete blocks with tin roofs and stones on the roof to hold down the tin. In the rural and mountain areas people live in huts called rondavels. Most are made of stone and mud with thatch (grass) roofs. The huts are round and many have a shelf around the inside edge for pots and dishes. For those who have them, sleeping mats are laid out during the night and are rolled up during the day. There is often a small fire for cooking in the middle of the hut. Some people have beds. Entire families live in these one-room rondavels so every inch of space has a purpose. There are also rectangular concrete homes that some families can afford. A curtain divides the house in two. One side is a bedroom; the other side is the kitchen.Most people in the countryside do not have electricity. People who have more money live in bigger homes with many rooms, but even these homes rarely have heat or insulation. How do the people keep warm? The Basotho traditionally wrap themselves in brightly coloured blankets. Most people do not have any heating in their homes, and many do not have coats and so the cold temperatures are difficult to cope with. Women wear the blankets around their waists to cover their skirts and keep their legs warm, while men wrap the blankets around their shoulders and fasten them with large pins. Many people have a lot of holes in their blankets, so many cannot keep warm. Is there snow in the winter? Yes, there is snow on the mountains; the higher you go, the more snow there is. In the lowlands there is little or no snow, but it is still very cold. What are the seasons like in Lesotho? Lesotho is in the Southern hemisphere, which means that they have summer from December – March and winter from June –September. The summer hot and there can be flood-causing rains, while the winter is very cold. Do people in Lesotho speak English? Yes, many do. The language of the Basotho (what the people of Lesotho are called) is Sesotho. English is the language of education in Lesotho and so the more education someone has, the more likely they are to speak-English. They rarely have the opportunity to write or speak to English-speaking people. Help Lesotho is an international development organization working in the rural areas of Lesotho serving the most vulnerable populations. Help Lesotho delivers education, leadership development and psychosocial support programs for 15-20,000 rural children, youth and grandmothers annually. Our work fosters hope and motivation in those who are most in need by targeting root causes and community priorities. HIV/AIDS and gender equity are embedded in all our programs with a special focus on girls and women. Help Lesotho is an effective, sustainable organization working at the grass-roots level to support the next generation of leaders for an AIDS-free Lesotho. 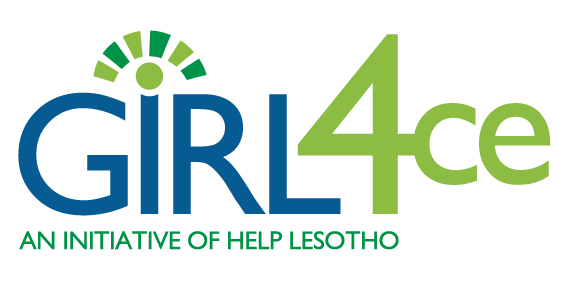 What is Help Lesotho’s legal name and charitable registration number? How do I contact Help Lesotho? For general inquiries, please email info@helplesotho.org. Click to visit our contact page for further information. Lesotho is known as the tiny mountain kingdom in southern. Lesotho is one of the poorest countries in the world burdened with world’s 2nd highest incidence rate of HIV/AIDS, devastating poverty and widespread gender inequity. Click to learn more about Lesotho. Why should I choose Help Lesotho as my international charity of choice? Help Lesotho is focused on one country, one goal, one generation. We work with local schools and operate two permanent, year round community centres in rural villages of Hlotse/Laribe and Pitseng, allowing us to reach the most vulnerable with life-changing education, leadership development and psychosocial support. How can I donate to Help Lesotho? You can donate online, by calling 613-369-5868, by mail or in person. You can make a donation by cash, cheque payable to Help Lesotho, money order or credit card (please do not send cash in the mail). Other ways to donate include monthly donations, gifts of securities, in-tribute gifts, gifts that give hope or by remembering Help Lesotho in your estate planning. For more information, visit Ways to Give. What is the most efficient way to donate to Help Lesotho? An automatic debit or credit card monthly donation is the most efficient way to donate to Help Lesotho. It’s simple to set up and you’re always in control. You can change or stop your donation at any time. Learn more about Monthly Giving here. You may also wish to consider leaving a gift to Help Lesotho in your will. For more information, please visit our Plan Your Future Gift page. How does my donation to Help Lesotho make an impact? Our 19 programs deliver education, leadership development and psychosocial support to over 15,000 vulnerable girls, youth, women and grandmothers annually. Our facilities offer a safe haven, community and life-changing programming to these people. Your donation goes to work immediately and the results are immediate: a better life now and the promise of a better future for the children of the next generation. Click to learn more about Our Impact and our Ethical Fundraising and Accountability. How does Help Lesotho spend its money? Based on our 2014-2015 Financial Statements we spent 89% on programs, 4% on fundraising and 7% on administration. Yes. Help Lesotho is a registered Canadian charity (82246 8476 RR0001). For all Canadian donations of $20.00 or more, Help Lesotho will automatically issue an official tax receipt. We encourage you to receive tax receipts by email rather than mail to help us reduce our administrative costs. Our goal is to send receipts to our donors within four weeks of receiving a donation. For donors who have chosen to give monthly, donation receipts are sent out once a year at the end of January. Please note, while the payment portion of our online donation process is instant, our receipt issuing process requires staff time. Yes, donors have many rights. Help Lesotho has adopted the Donor Bill of Rights (click to open PDF) that was developed by the Association of Fundraising Professionals. More information can be found here: Ethical Fundraising and Accountability. Pearls4Girls is a small but mighty pearl jewellery fundraising initiative that promotes gender equity and leadership development for girls in Lesotho, southern Africa. With the world’s 2nd highest incidence rate of HIV/AIDS, devastating poverty and widespread gender inequity, girls in Lesotho are fighting an uphill battle to create a better future for themselves and their communities. Through the sale of beautiful pearl jewellery, funds support Help Lesotho programs that help girls build confidence, acquire leadership skills and get the support they need so they can become positive role models and agents of change. Click to learn more. Does Help Lesotho hire external fundraisers who work on commission? What is a corporate matching gift? Many corporations have matching gift programs. When you make a donation to Help Lesotho your company will provide an equal or “matching” donation, thereby doubling your gift. It’s an easy way to multiply the impact of your contribution. Talk to your employer to find out if your company has such a program and how you can participate. Click to learn more about engaging your workplace. Does Help Lesotho receive government funding? Does Help Lesotho trade, sell or rent donor information? No, we protect our donor information. We value the support of our donors and will never provide this information to others. How does Help Lesotho protect my credit card information? All payments and donations made on Help Lesotho’s website are processed through the company ‘Stripe‘. No credit card details are kept on Help Lesotho’s website or server. Stripe records credit card numbers as tokens that cannot be recreated. Your online safety and privacy is always our top priority. For in-person or over the phone credit card transactions, Help Lesotho securely disposes of your credit card number as soon as your transaction is processed. This means that you will need to provide your credit card number each time you wish to make a transaction (monthly donations will process automatically, but any changes to your donation will require you to provide your credit card details again).